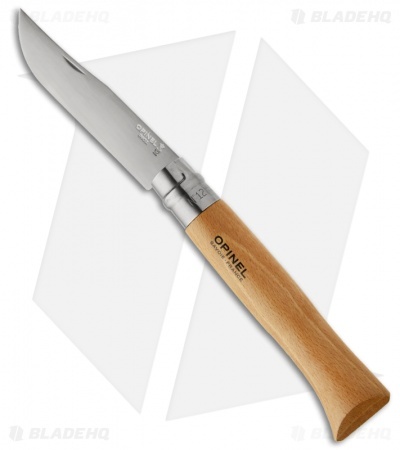 This Opinel #12 folder has a trailing point 12C27 Sandvik stainless steel blade and Beechwood handle. Includes the Virobloc safety ring that locks the blade in the open and closed positions. 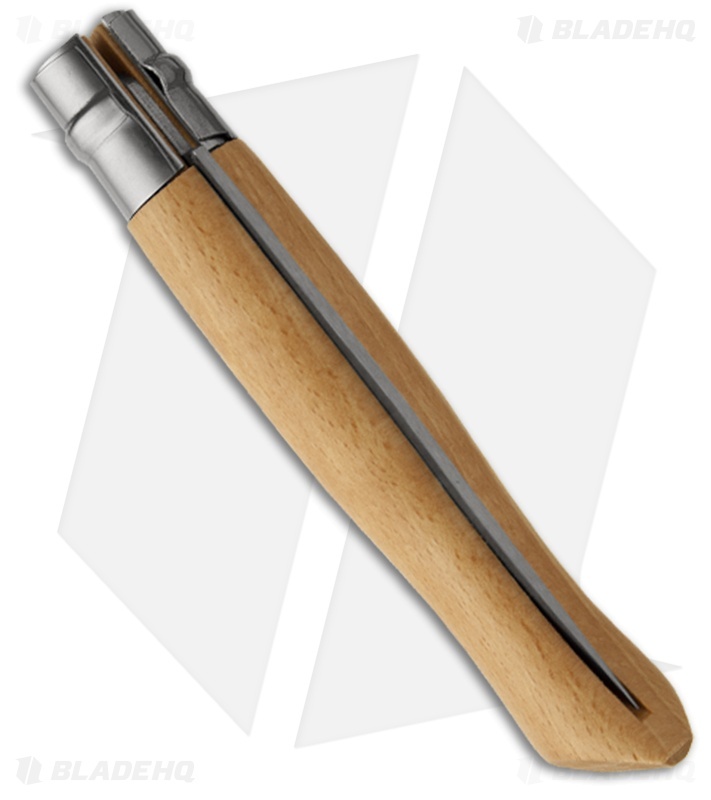 This Opinel pocket knife is lightweight and inexpensive while displaying simple sophistication. I have owned this blade for about two months now, and I must say that it is absolutely massive. The blade alone is longer then my largest knife while open. It is great for playing with, as ninja slicing fruit is always a blast. My only gripe is that it is not very pocket friendly.